Dublin Horse show at the RDS, Ballsbridge, Dublin, Wednesday. Miss Wendy Marsh of Warrenpoint gives "Paseel", a friendly pat on the head after winning Class 53 an open Childrens Pony Class. 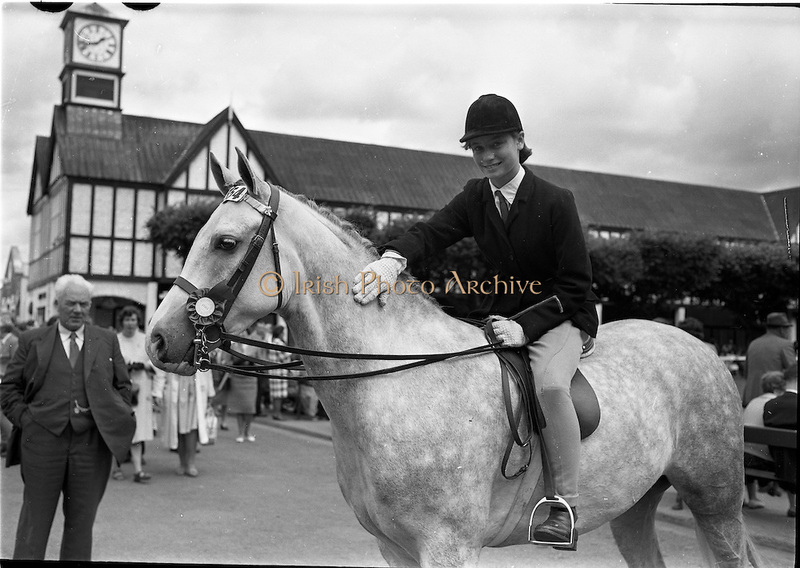 "Paseel" a five year old grey, is owned by Mrs E.M. Gray, Clermont, Warrenpoint, Co. Down.